Is El Niño to blame for the big Southern storm? The official view of US experts on the current status of El Niño will be delivered on Thursday. Heavy rain in California and piles of snow in the Southeast may be signs another El Niño weather phenomenon is upon us, says CBS News. Heavy rain and mudslides in California, flooding in Texas, and up to 2 feet of snow in North Carolina — all these recent weather events are symptoms of the infamous climate phenomena called El Niño. For months now we have been on the verge of an official El Niño, but so far the climate community has not pulled the El Niño trigger. Officially there is an “El Niño Watch,” but an El Niño Alert may be issued any day, indicating the phenomena has officially begun. The El Niño phenomenon is, by definition, a periodic warming of the waters in the equatorial central and eastern Pacific Ocean. When this happens vast amounts of heat is released into the atmosphere. This heat disrupts normal weather steering patterns, which can have big consequences to global and regional weather. In other words, right now the ocean criterion is met, but the atmosphere has yet to respond in the way it should. The El Niño Southern Oscillation (ENSO) is like tango, it takes two — the ocean and the atmosphere — to complete. This year, despite widespread above-average sea surface temperatures (SSTs) across the equatorial Pacific Ocean, the atmosphere has not yet responded. Therefore, only “ENSO-neutral” conditions have prevailed in the region so far. Although the stage is set for the tango, ENSO may or may not materialize, or just slightly influence some parts of the region. With much of the Pacific covered in relatively warm water, I wonder what happens when all of that energy finishes leaving? At heart, El Nino’s are part of a system that is shedding heat. There is absolutely no sign of an El Nino in SOI figures. I suggest that considerations of a coming El Nino are more of a wish than factual. The Russians (Volodin et al) with probably the best model (INMCM5) that can replicate past changes in weather ( temperature & precipitation) say that predictions of PDO and AMO have no accuracy. 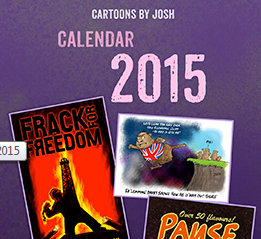 Any predictions based on models which include CO2 are rubbish. 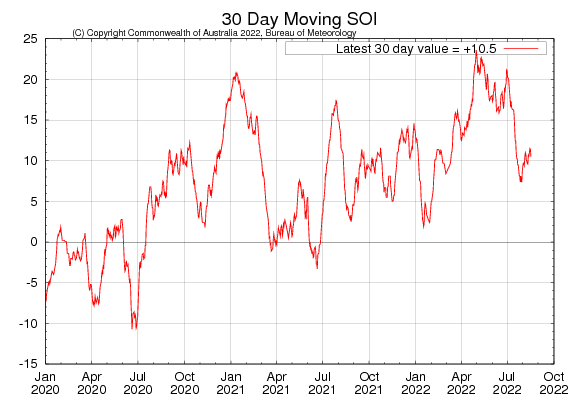 Not quite there (trend > 5) on the BOM 30-day Southern Oscillation Index (SOI) chart. Heavy snow and icy temperatures gripped parts of the US this weekend, with the storm leaving more than 550,000 without power in the Southeast. Among those, more than 247,000 customers in North Carolina were without power Sunday afternoon, more than 82,000 in South Carolina, and another 75,000 in Tennessee, Alabama and Mississippi. Parts of Georgia also saw outages. “Over 20 million people are under winter weather alerts, over 8 million people are under a flash flood threat, and over 9 million people are under wind advisories,” CNN meteorologist Haley Brink said Sunday. Charlotte also saw record-setting snowfall totals. With 2.7 inches, the city had its snowiest December since 1997, according to CNN affiliate WSOC-TV. The 1997–98 El Niño was regarded as one of the most powerful El Niño–Southern Oscillation events in recorded history, resulting in widespread droughts, flooding and other natural disasters across the globe. An El Niño event is very likely under way, amping up extreme weather already made worse by climate change and increasing the odds that 2019 will be the hottest year in recorded human history, scientists warn. There is an 80 percent chance a full-fledged El Niño has already begun and will last until at least the end of February 2019, according to the Climate Prediction Center at the National Oceanic and Atmospheric Administration. National geographic is such a silly pathetic organization. California Dept. of Fish and Wildlife – What effects does El Niño have on world climate? Of course there is no ‘strong El Niño’ to date, and nobody has predicted a strong one. Is there a seismicity factor in ENSO events? El Niño-level SSTs continued to be observed in the November average, and the subsurface waters continued to be warmer than average. However, most atmospheric variables showed ENSO-neutral patterns. The lower-level wind anomalies averaged weakly westerly in the western Pacific, and the equatorial SOI was slightly negative–both suggestions of El Niño. But other indicators were neutral. The official CPC/IRI outlook calls for an 90% chance of El Niño prevailing during winter, and over 60% during spring 2019. An El Niño watch is in effect. The most recent forecasts of statistical and dynamical models collectively show continuing El Niño-level SSTs, most likely weak to moderate in strength, continuing through spring. No it is not here and it is looking less likely then it did 2 weeks ago. The surface of the tropical Pacific Ocean is nice and warm, but the atmosphere just doesn’t seem interested. The MJO has been active over the past few months, circling the Earth a few times since September. When the MJO-related area of enhanced convection moves from Africa to the Indian Ocean and through the Pacific, it changes the winds and cloud patterns in the areas we monitor for El Niño conditions. The MJO is a subseasonal pattern, meaning it affects conditions on timescales of a few weeks. Recently, most of the changes we’ve observed in the atmospheric circulation over the tropical Pacific look MJO-related, changing from week to week. ENSO, on the other hand, is a seasonal pattern, meaning it lasts for several months in a row. We’ve already observed a season of above-average tropical Pacific surface temperature and expect it to continue through the spring. When the atmospheric response to the warmer-than-average waters has kicked in, those signature changes (the weak-in-the-knees Walker circulation) will lock in for the long haul. 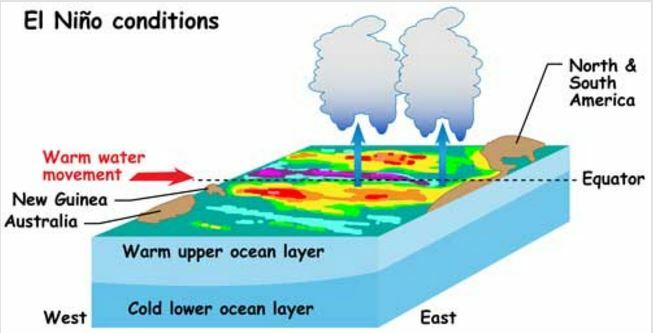 The consistent changes in the atmospheric circulation are how El Niño affects global weather and climate patterns.